It might break the heart of all Cafe Coffee Day fans that it does not offer any franchise options in India. There are yet other options through which you can be associated with the franchise and earn good profit from their revenue. The advantage is that you will have to invest much less in such a business arrangement and the profits are assured. 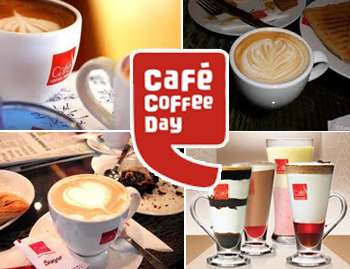 Following are the details you must know to associate yourself with Cafe Coffee Day. How to start a Cafe Coffee Day franchise in India? As we have already informed you that the company is not offering any further expansion. But if you have a commercial space or a place that can be commercially converted that you can renter lend on revenue share basis then you can enjoy the benefit of being partner to Cafe Coffee Day franchise. For being associated with Cafe Coffee Day you will have to meet a few space requirements for leasing your land out. You must have a large commercial space or a commercially convertible space in a highly commercial area or the main market area which you can rent. There is a minimum space requirement of 1000 to 1500 square feet on ground floor space. A minimum frontage of 25 running feet and sufficient parking space are also important. If you fulfil the above criteria then you can easily apply for the franchise. Applying for The Cafe Coffee Day franchise is simple enough once you have met all the necessary requirements mentioned above. You can contact any of the CCD franchises for initiating the talks on lending your space on lease. Keep an account of the following details as the contact person might ask you about them. Clearly mention the name of the person or group of people who own the space to be leased. The complete contact details of the person or group of people who own the place that must include email id, contact number and address details. Complete postal address of the space you intend to lend for the Cafe Coffee Day Franchise. Area and dimensions of the place you are lending. Frontage area of the space concerned. Demographic features of the catchment area for opening Cafe Coffee Day. Along with authenticate images of the space to be leased with different angles. Following are the different regions where you can get in touch with the contact persons and get to know more about the franchise. Bangalore, Chennai, Hyderabad, NCR, Kolkata, Mumbai, Pune. For any queries leave your comments and we will respond as quickly as possible. Best of luck with your coffee business. N.B. All logos and brand names are registered trademarks of respective organizations. All articles are informative in purpose, intending no infringement of rights.